​Sometimes you have to show children that the world is not always going to pat you on the back. Sometimes you decide to play basketball against one of the best centers in the game. This decision isn't going to lead to a blue-ribbon moment. 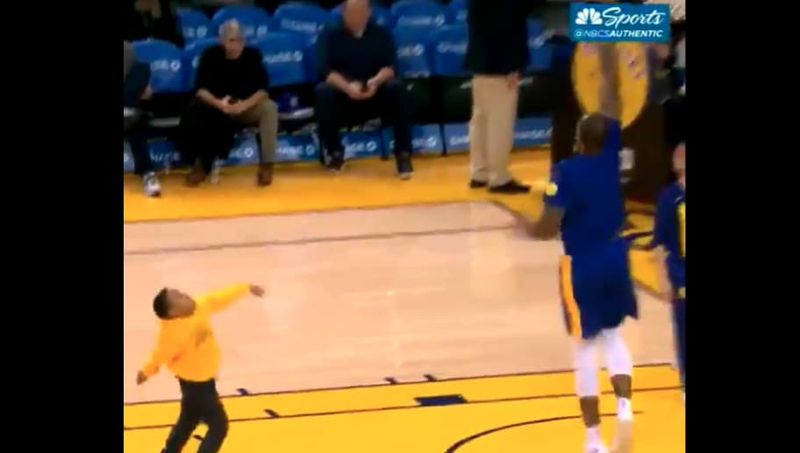 DeMarcus Cousins knows how necessary this life lesson is for youngsters, and he proved that by completely shutting down his kid in a game of one-on-one. That, right there, is the definition of cold-blooded. The poor child stood no chance against Boogie. The internet was cold-blooded, too. People quickly responded to the video with insults about Isaiah Thomas, of course. ​Thomas is short and Cousins is heartless. These are the things every NBA fan knows already. Looks like Boogie is ​continuing to make strides in his recovery. Not only is he getting time with the G-League, but he's getting time with the Pee Wee Basketball team, too. Soon he'll be back to terrorizing the pros.